Beautifully engraved certificate from the Frank Siddall's Soap Company issued in 1908. 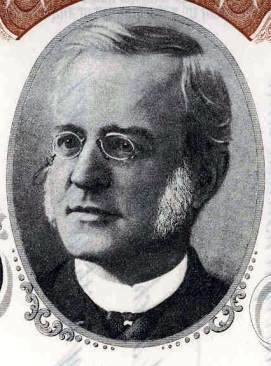 This historic document has an ornate border around it with a vignette of Frank Siddall. This item is hand signed by the Company’s President and Treasurer and is over 96 years old. 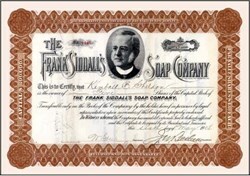 Frank Siddall's Soap Company was a large soap company at the turn of the century. Frank Siddall came up with the marketing campaign, "Why does a woman look older sooner than a man?" which was purchased by William Hesketh Lever founder of Unilever Corp for $2,500.